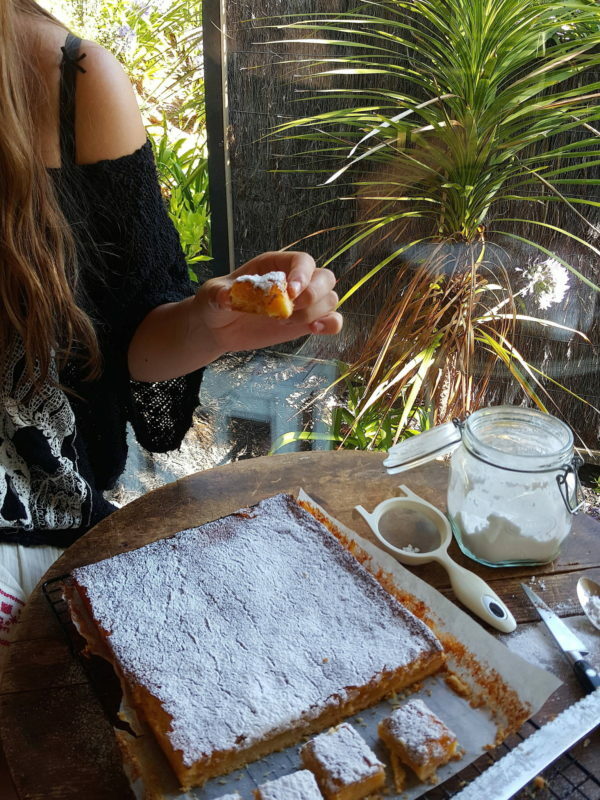 This has been such a popular recipes for decades that is was featured, and probably still is, on heaps of café menus around the country. Now you can make it at home. 1 Put the softened butter in the bowl of a food processor and process until whipped, then add the icing sugar and process until light in colour (creamed). Sprinkle the flour over and process until the mixture starts to form a ball. Tip into a non-stick Swiss roll (Jelly roll) tin (32 cm x 21 cm/ 13” x 8” approx. ), with the bottom lined with baking (parchment) paper, and press flat. If the mixture is sticky, keep your fingers dusted with plain flour. 2 Bake in an oven preheated to 170°C (325°F) for 15 minutes, then remove from the oven. While the base is cooling, make the topping. 3 Tip the granulated sugar into the bowl of a food processor and pour in the eggs. Process for 1 minute. Transfer the mixture to a bowl, then sprinkle the flour and baking powder over, and add lemon zest and juice. Mix together with a large spoon. 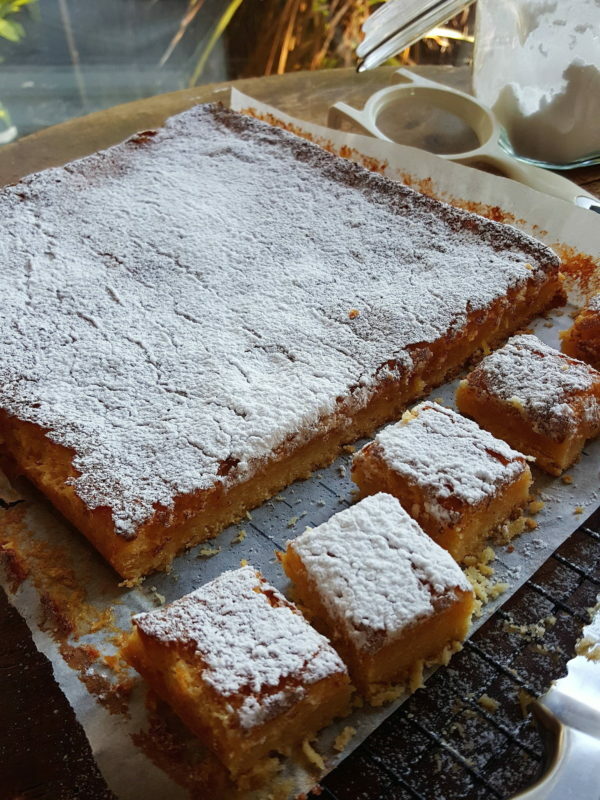 Is this like a lemon bar or is it more cakey? 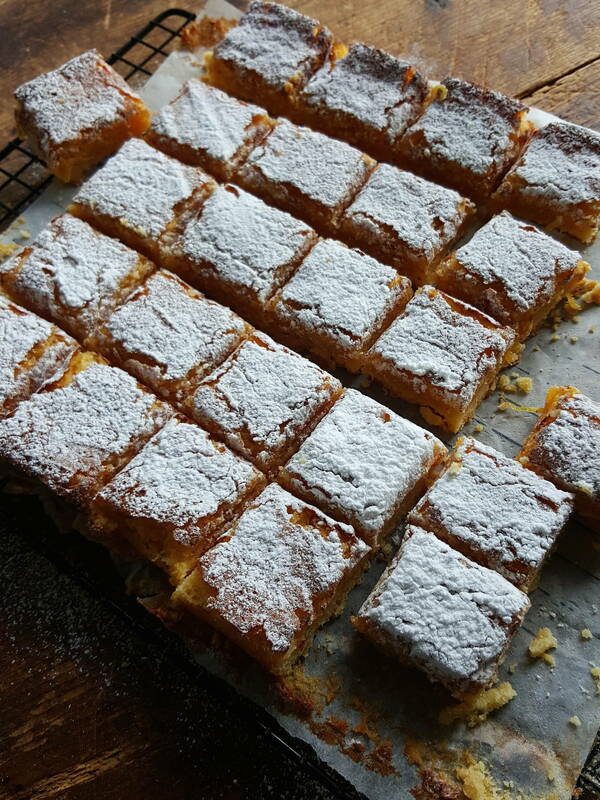 It’s more like a bar – almost like shortbread – with a gooey lemony top wth a sugary edge. Hi Ishbel, I’m not sure it will be successful because the top is so sticky. May I suggest you make a batch and freeze a few slices – they would need to be frozen in one level on a tray – and see how they go.